Autodesk introduces CAM 360, the first ever cloud-supported solution for computer-aided manufacturing (CAM). This newly launched CAM solution integrates CNC programming, simulation, and design involving real-time participation and online project and data management under a simplified product. With in-built Autodesk® Fusion 360 modeling, users can produce short work of custom assignments like model prep and defeaturing. CAM 360 empowers the users to deal with various types of recognized CAD formats. With CAM the users can avail the professional CNC programming tools to create program for their machining projects irrespective of the source of their CAD data as well as the operating system and hardware they applies. 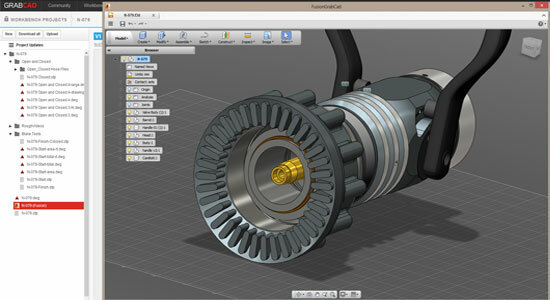 CAM 360 is compatible with 2D to 3D, Autodesk Inventor, SolidWorkse, or PC to Mac. CAM 360 is also very useful for project collaboration. It combines people and ideas collectively via a dashboard that is maneuvered by the users. All the project stakeholders can comment and edit, update versions, and perform mutually on vital assignments. CAM 360 allocates the identical HSM CAM kernel as HSMWorks and Inventor HSM™ which are well recognized. With this feature, the user can instantly make toolpaths in minimizing cycle time as well as machine & tool wear, and generate the superior quality finished parts.